Here at Powerclean Thetford we are delighted to be able to offer a new Internal High Cleaning service to our customers both old and new. We have now added to our high reach gutter cleaning service a full range of specialised high reach attachments to get to those high awkward high places that previously needed a ladder and never actually get a regular clean. But that's how it used to be because we can now do all that cleaning from the floor using our SkyVac cleaning system. 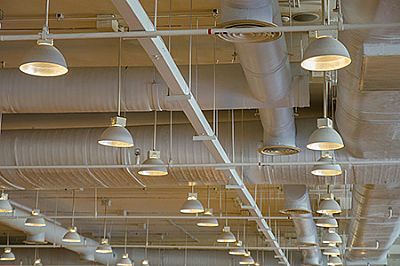 Anywhere that has anything other than a perfectly flat ceiling will have pipes, projections, trusses, air vents and all contribute in spreading dust to the environment around them but now with our help you can prevent this from happening. 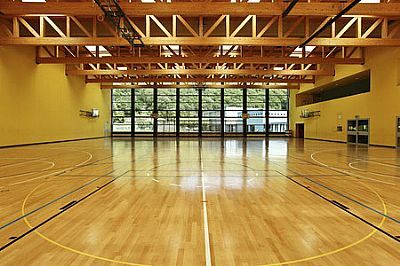 Gymnasiums, Churches, Schools, Village Halls, Pubs, Conservatories, kitchens, anywhere in fact where a high ceiling exists will be home to unwanted dust and dirt and now you have the power to get it cleaned. Roof trusses like those shown in this image are no problem for our high reach equipment. All handled from the floor. 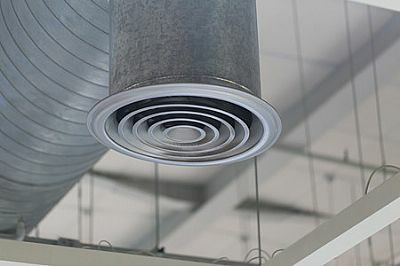 Ventilation and air conditioning vents need to be kept clean and our equipment will quickly vacuum away all the nasty stuff that gets collected around these vents.